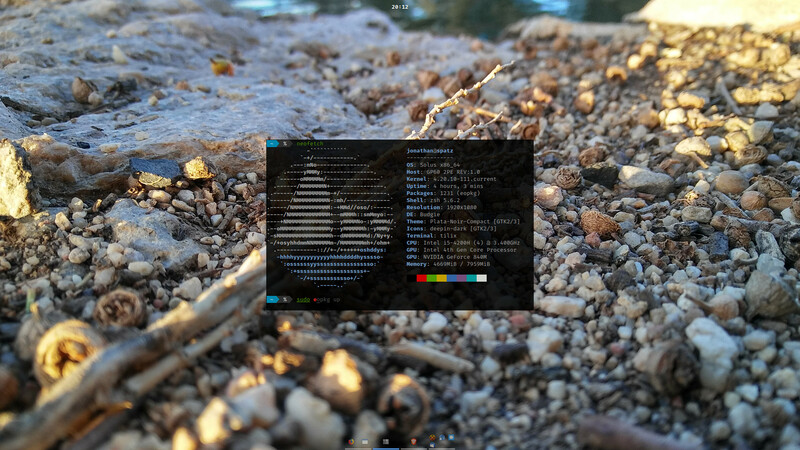 I think Solus is a beautiful distro. I use it as my daily driver and have never been happier. 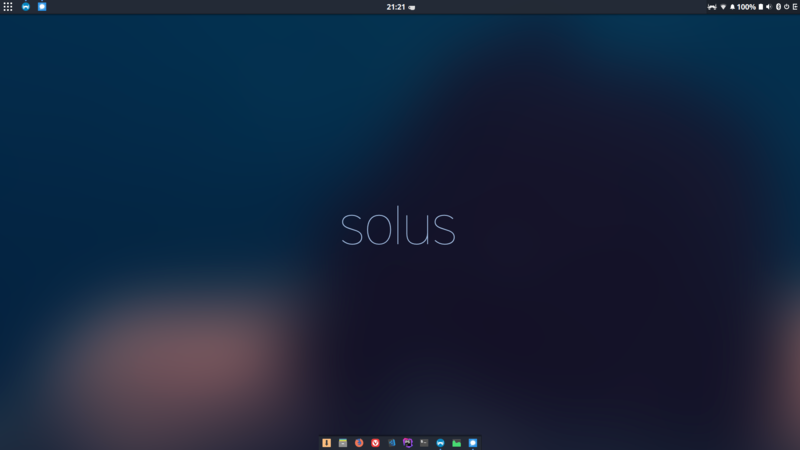 I was cruising the tags and thought I'd start a thread to show just how beautiful solus can be. Nice! Mine is pretty standard. JoshStrobl Simple is sometimes Best I love how clean it looks. Also the background is awsome. Grief Thanks for my new wallpaper...haha I like it. 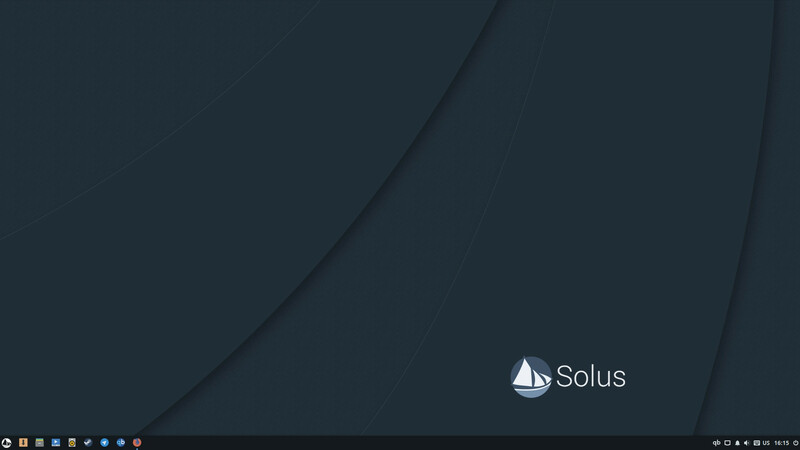 Grief How to change the menu icon to get the solus icon? JoshStrobl I love Arc, it's still my favourite. JoshStrobl I still haven't found anything that in my opinion can replace Arc. Qogir almost got there, however there are a few small things that prevented it from doing so. Christoph3 Very nice set up. 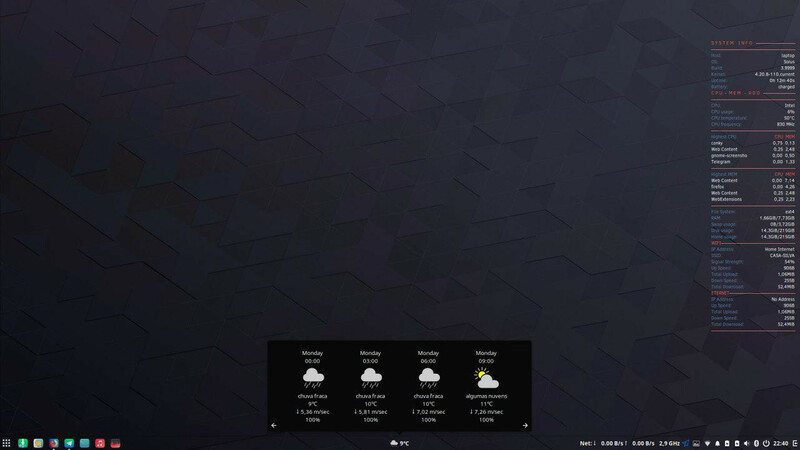 Are you using Conky for the weather too? Okay, I understand how to exactly upload an image to this. 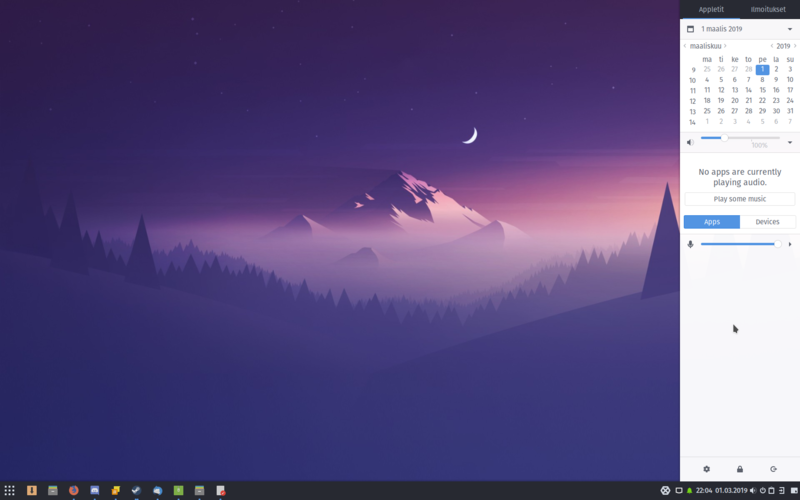 JoshStrobl Hi there, no, the weather applet i found in the ubuntu budgie github has 2 options, desktop and tray bar. 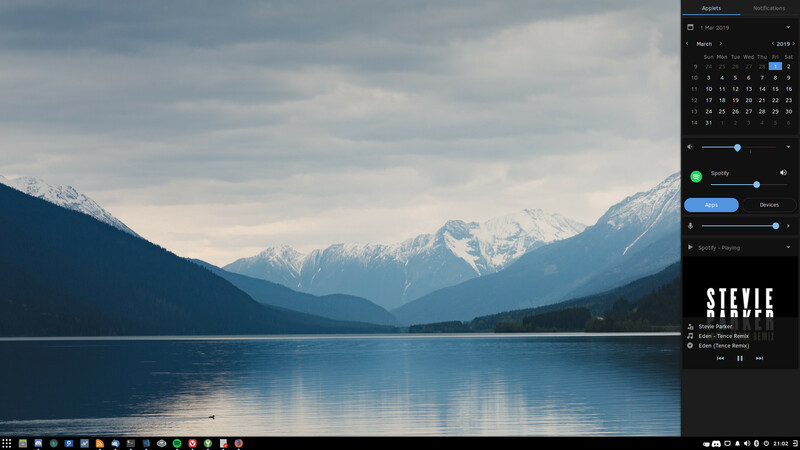 JoshStrobl another screenshot with only traybar icon activated. Lucien_Lachance Damn is that a 21:9 monitor? Christoph3 Hey, just wondering; what are you using for that weather applet? 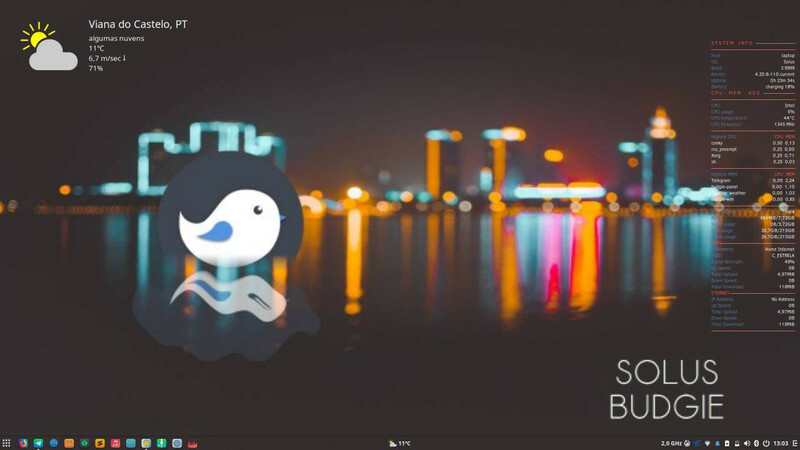 I haven't been able to find a weather applet for the Budgie panel yet. E: Oh, just saw you already answered that question above. Lucien_Lachance I'm not saying I'm jealous...but I'm jealous. JoshStrobl its pretty good for gaming i gotta say, you can spot your enemies without turning to the sides all the time, well not those behind you.